I am currently at the halfway point in my journey towards becoming a certified Balanced Body Pilates instructor. As I reflect on my journey, the most beneficial thing I have learned so far is something so fundamental – how to breathe. Breathing is something we easily forget about as we go throughout our day, especially when we are busy. I am not someone who likes to sit still, so deep breathing was never something I thought much about until that very first teacher training. Breathing is the first principle of Pilates, I now can’t imagine my practice without it! 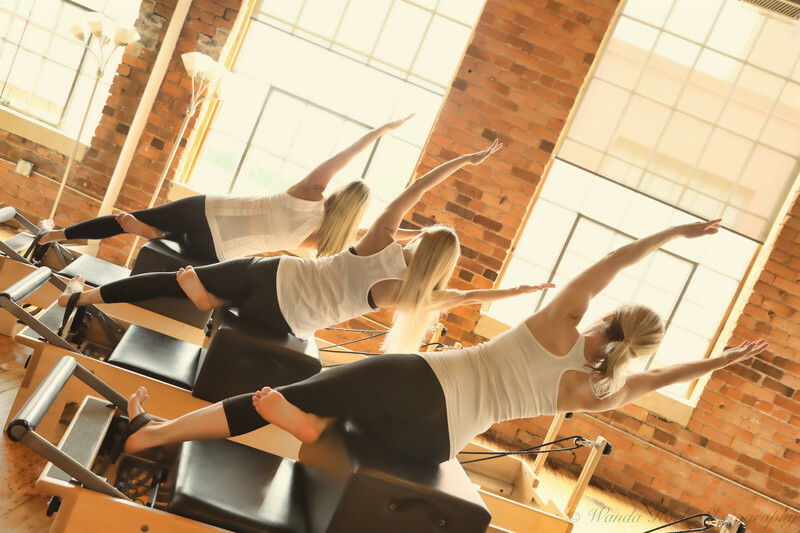 I remember when I first started Pilates I never thought about breathing through my exercises- even when my instructors told me to do so. For some reason we think it just feels easier to hold our breath which is crazy because it just makes everything SO much more difficult. Breathing centers our attention to what we are doing. It is restorative and helps move our bodies through our exercises. Deep exhales help our bodies to take advantage of the natural contraction of our abdominal muscles, while inhales allow us to lengthen and expand. Most people assume (I know I did) that every Pilates instructor is as flexible as a gymnast and can contort their bodies in all sorts of graceful and beautiful ways. While that is true for many instructors, when I first started taking Pilates I was not able to touch my toes. While I still do not consider myself super-flexible, learning to breathe through my stretches has helped my muscles to relax and loosen up in ways I never thought were possible. As long as I breathe, I can now forward fold and hold on to the bottom of my feet with ease, which feels amazing! I know it is easy to forget to breathe, especially when Pilates exercises become very challenging. If you take away anything from this post, I encourage you to go into your next class with the intention of breathing through your movements. Even if you get off track of the breathing patterns the instructor is cueing, just try to inhale as you move your body one direction and exhale (through your mouth!) as you move your body in the other. If you have not mastered it already, breathing throughout your practice will really help you to advance and deepen your Pilates movements in a safe and relaxing way.